Do you worry that you’re not getting enough sleep each night? You’re not alone. The Centers for Disease Control reports that nearly 30 percent of American adults average less than six hours nightly, rather than the recommended 7–8 hours1. Chronic sleep deprivation can have long-term health consequences, and on a day-to-day basis, not getting enough z’s can leave you sleepy and slam the brakes on your productivity and creativity. It might be tempting to turn to junk food or an energy drink to get you through the 2 p.m. lull, but consider taking a power nap instead. Think that a short sleep break sounds a little on the lazy side? Think again! Influential nappers have included Winston Churchill, John F. Kennedy, Ronald Reagan, Napoleon, Albert Einstein, Thomas Edison, George W. Bush2, and Eleanor Roosevelt3. Each of these figures already knew what science is now confirming: A power nap can boost your memory, cognitive skills, creativity, and energy levels4. Give yourself the permission to nap: Don’t feel guilty—you’re investing just a few minutes to rejuvenate your mind, body, and mood for the rest of the day. Not only will you enjoy a tiny mental vacation, but the alert, rested version of you will also accomplish much more than the fatigued version5. Snack strategically: Consuming caffeine, fat, and sugar interferes with your ability to fall asleep. If you’re planning on a nap within a couple of hours, choose meals and snacks that are high in calcium and protein5. Go dark: Stimulate melatonin production by napping in a dark room or wearing an eye mask5. 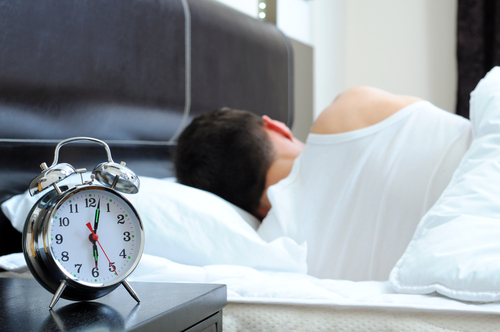 Get cozy: Keep a blanket handy—your body temperature drops while you snooze5, 6. Timing is everything: Your best, most refreshing results from napping will come from a nap in the early middle of the day—a nap that falls in the late afternoon may more closely resemble nighttime sleep, leaving you groggy5. 2–5 Minutes: In the time it takes to grab a snack or flip through Instagram, you could take a micronap that banishes those heavy eyelids5. 5–20 minutes: You can increase alertness, stamina, motor learning, and motor performance in just a few short minutes. Plus, others will barely notice that you’ve been away5. 20 minutes: Stepping away from you day for less than the length of your favorite sitcom helps increase alertness, stamina, motor learning, motor performance, and muscle memory, while clearing the brain of useless, built-up information. Think of it as housekeeping for your brain5. 50–90 minutes: More serious daytime shuteye helps you enjoy the benefits of slow-wave REM sleep, including improving perceptual processing. This length of nap also can be great for allowing the body to repair bones and muscles5.